Each year on the first Sunday in October, our family has a day of tradition. 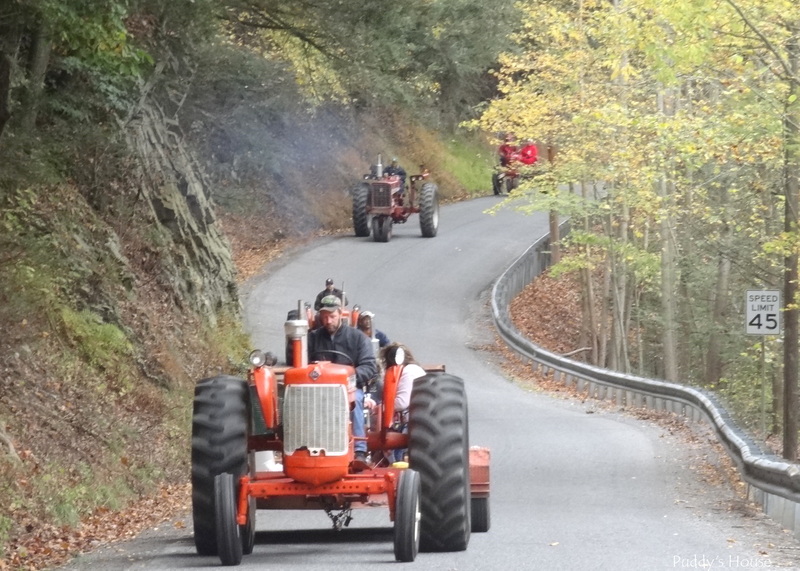 It is the annual tractor ride in my parent’s town. Last year, it was so cold the organizers canceled the ride. But, that didn’t stop us…we made our own ride! This year, my Dad organized the whole ride. We started from a new location and followed the route that he mapped out. The forecast was to be chilly and rainy, but we lucked out and while it was brisk it wasn’t nearly as cold as last year and the rain didn’t start until later in the day. 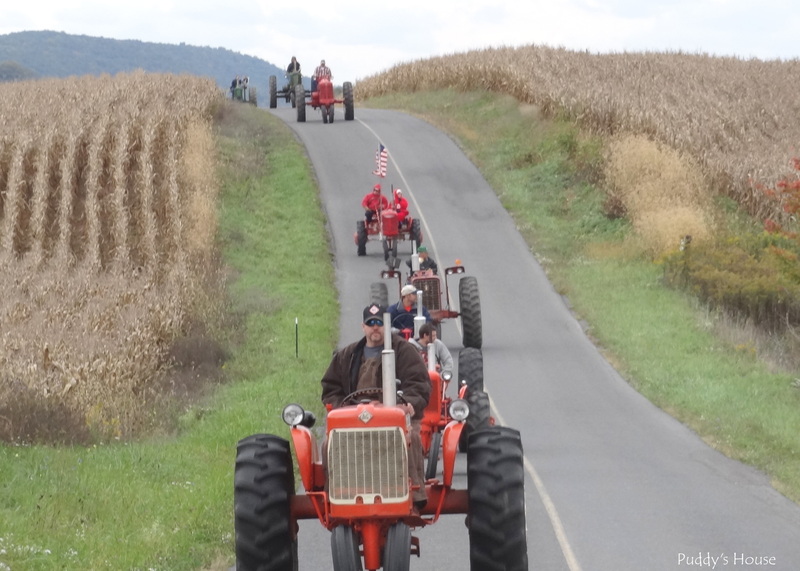 We think the forecast put a bit of a damper on the attendance, but there were still 10 tractors in the ride. Some had wagons, some didn’t. Some were green, some were red – We definitely have a preference, but we don’t discriminate. 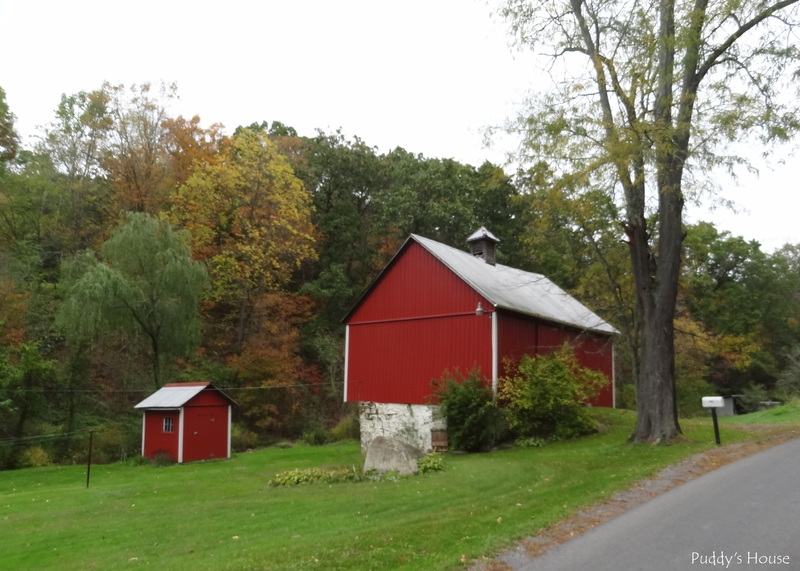 But, everyone was there for the same reason – to take the tractors out for a ride, spend time together, and enjoy the beauty of the Fall season in the country. Puddy waiting for us to get the ride started. The parade of tractors starting to head out of town. 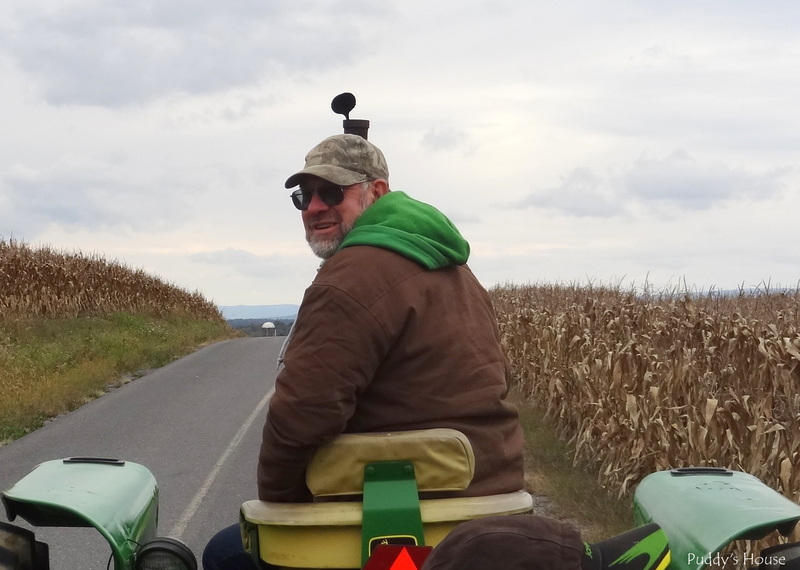 Dad was our driver and the leader of the parade of tractors. 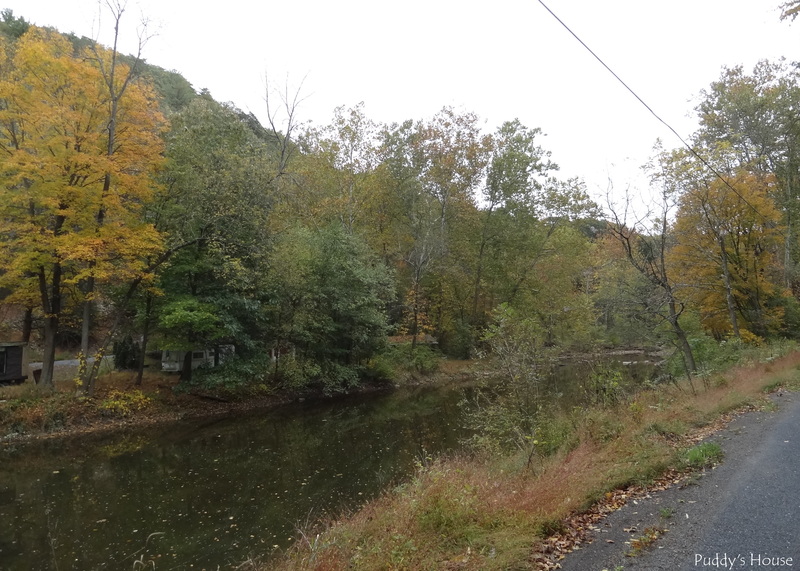 The ride took us along some beautiful scenes. It was very peaceful. 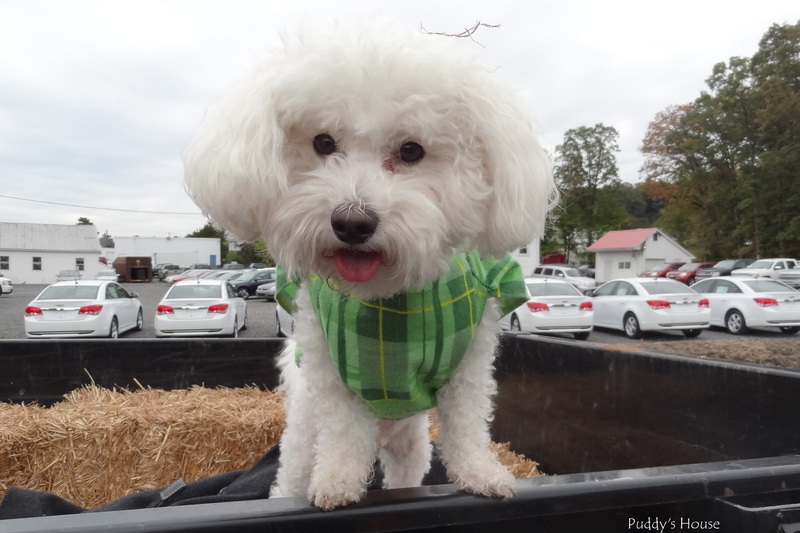 Puddy wasn’t the only dog along for the ride. Smokey was enjoying it too. 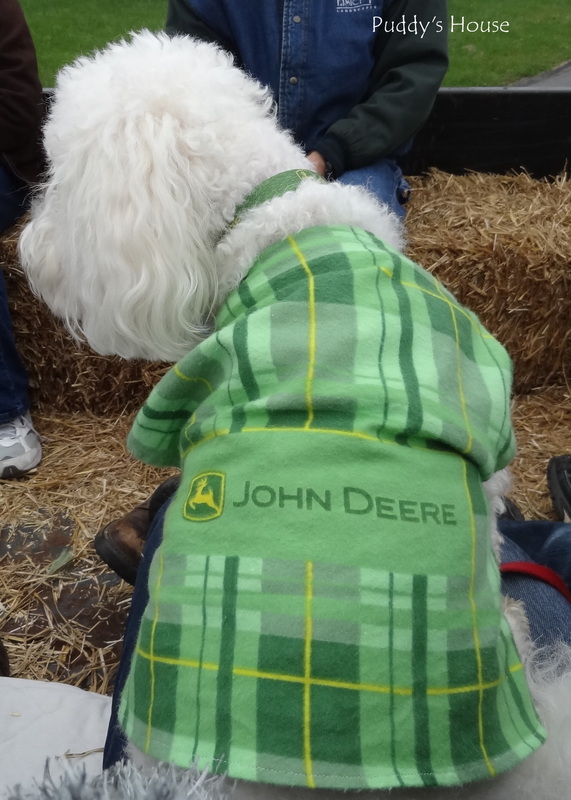 He was all decked out in John Deere gear as well. I wasn’t sure he’d like a t-shirt, so he got a John Deere bandana. 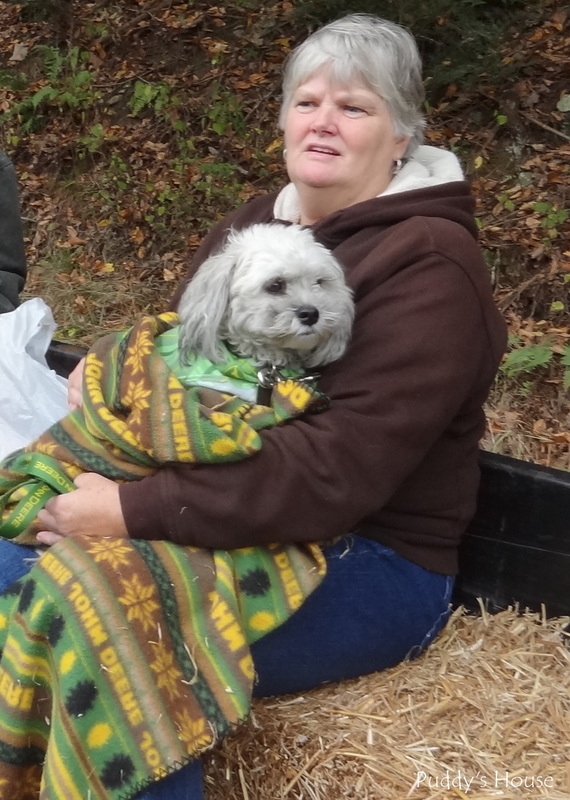 Then he got cold, so he got to use the John Deere blanket too! 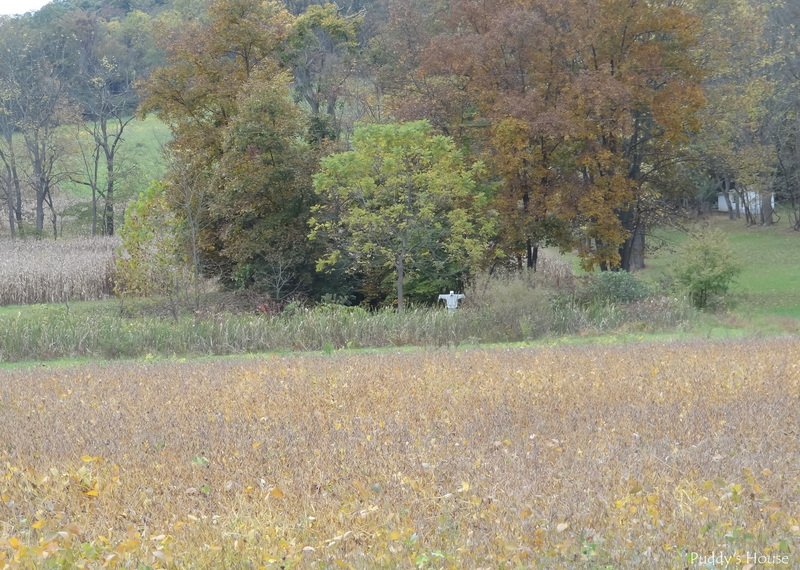 Bob spotted this scarecrow hiding in the field along the way. Overall, it was a nice hour and half ride through the country, in the area I grew up. Its always a nice reminder of the beauty and peacefulness of the country. And, best of all it is a great day spent with family. We were missing some family Sunday. My brother was busy running his first half marathon, so he couldn’t make it to the ride. We missed him and his family, but it just meant we got to eat more of the candy ourselves! 🙂 Oh yeah, we take candy along to throw to any kids along the way. This year I think we only saw one group of kids, so we kept up tradition and ate most of the candy as we rode! Anyone else have a special family tradition to share? Any other tractor rides out there? Sorry Kurt & I had to miss the Tractor Parade due to church commitments (I was storyteller for Children’s Worship and Kurt did Video). 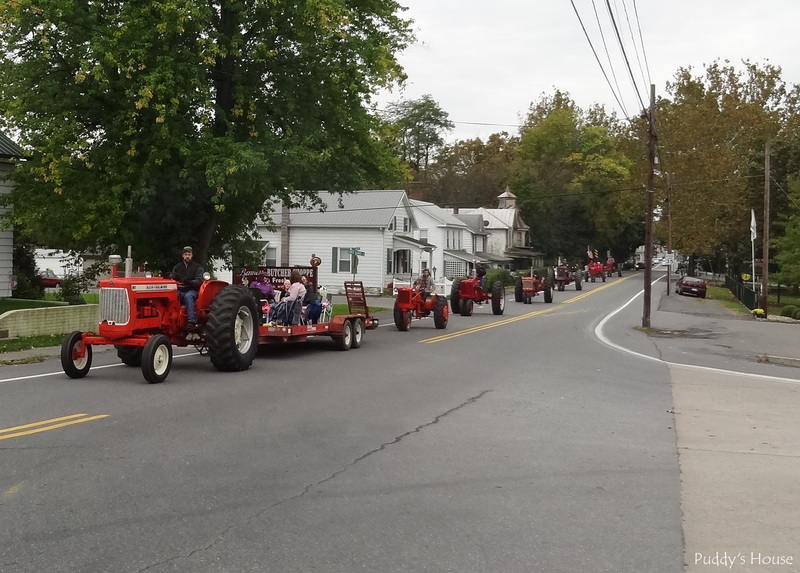 We did have a great time last year (of course, that was the “Stanton Tractor Parade”. We’ll have to keep that date in mind for next year’s events. I’m sure Kirby will try to put it on our radar earlier too. She had a great time (although, with our schedules we haven’t seen each other much – you might not think we live in the same house!) Thanks for letting her meet at your place & ride along with you. She’s been working so many long hours I preferred she didn’t ride the whole way by herself. One hour wasn’t as bad. We’ll have to see if Uncle Bruce & Aunt Laura can come again too (of course, Sunday was Laura’s birthday so they had a good excuse to miss). Thanks for the post. Puddy is just too cute and Smokey too!